A special wine vintage can express itself by communicating a uniquely appealing character: trendy, clever, campy, distinguished or irreverent. Sometimes it is a mirror into the consumer’s mood, persona or aspirations. 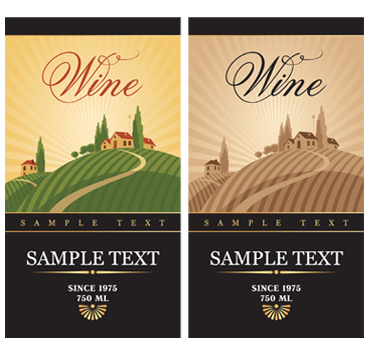 Wine and spirits labels can be extraordinarily powerful if done by a professional company. But the selection and purchase process revolves around a single criterion, no matter how it is defined—a search for quality, using every aesthetic cue. Quality is embodied in the label. More than almost any other consumer product, wine and spirits labels have a social side. An ascendant brand takes on a life of its own, building momentum each time someone selects a wine to pair with a special meal, brings an festive bottle to a holiday gathering or toasts to an accomplishment.